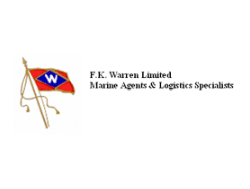 With five offices in Atlantic Canada, and offices in Montreal, Toronto and Vancouver FK Warren/Mclean Kennedy continues as a leader in providing a comprehensive range of services at all ports throughout Canada with a proven ability to render first class service. Each of their offices conducts business around the globe and has staff on duty 24 hours per day, 7 days per week, 365 days per year. The principal business of F K Warren/Mclean Kennedy traditionally has been Marine/Ships Agency where they attend to more than 900 vessels in Canada annually. These vessels include drilling rigs, seismic vessels, offshore support vessels, tankers, VLCCs, container vessels, cruise liners, fishing fleets, breakbulk and bulk ships, heavy lift vessels and other highly specialized carriers. In addition to vessel agency they have managed the logistics of over 1000 containers per week from all points in Canada and the US Midwest over the ports of Halifax, Montreal and Vancouver. Their business lines have expanded from Marine Agency to include not only logistics but also Offshore Services whereby they have aligned themselves with other service professionals to provide crewing, custom brokerage, freight-forwarding, travel consultation, stevedoring, warehousing and an offshore supply base. Having a proud tradition of representing first class principals, FK Warren/Mclean Kennedy is fortunate to have a dedicated, experienced staff committed to providing their customers with a personalized and professional service.